Geography: Scotland, North East. Part of Dundee and Angus council areas. Main population centres: Dundee, Monifieth, Carnoustie. Profile: The city of Dundee is a major retail, administrative and employment centre for north-east Scotland, situated on the north bank of the Firth of Tay. Traditionally the local economy was described as being based on "Jute, Jam and Journalism" - the Jute has long since gone, jam was never really much of an employer anyway, but the journalism remains in the form of D. C. Thomson & Co, the publisher of the regional Scottish newspaper titles, the Beano and the Dandy. Other important local employers include NCR, whose main base for their cash machine and cash registers business is based in Dundee. Until 2005 the seat only consisted of Eastern Dundee, but the boundaries were then changed to include the rural hinterland, the dormitory town of Monifieth and Carnoustie, best known for its associations with golf. Politics: Dundee East has long been a prime battleground between the SNP and Labour. As far back as the 1973 by-election that followed the appointment of George Thomson as one of Britain`s first European Commissioners the SNP put up a serious challenge here, narrowingly failing to take the seat despite achieving a huge swing. They won the seat in 1974 and their MP here, Gordon Wilson, was leader of the party from 1979 until 1990 (despite losing his seat to Labour in 1987). The SNP regained the seat on an extremely narrow majority in 2005 before securing a far larger majority in the 2015 landslide. STEWART HOSIE (Scottish National Party) Born 1963, Dundee. Educated at Carnoustie High School. Former IT businessman and National Secretary of the SNP. Contested Kirkcaldy 1992, 1997, Dundee East 2001. First elected as MP for Dundee East in 2005. BILL BOWMAN (Conservative) Educated at George Watsons College and Edinburgh University. Chartered accountant. LESLEY BRENNAN (Labour) Educated at University of Abertay. Economist. Dundee councillor since 2012. CRAIG DUNCAN (Liberal Democrat) Born Dundee. Educated at Carnoustie High School and Heriot-Watt University. Administrator. HELEN GRAYSHAN (Green) Born 1975. Educated at Newcastle University. Lead officer of a renewable energy charity. STEWART HOSIE (SNP) See above. I would be deeply surprised if the SNP hit 60% of the vote nationally at this May’s Holyrood election. For the SNP to hit 60% nationwide they would presumably have to get 70% or 75% in a seat like this – the sort of monolithic single-party support only really seen in the UK for the Labour Party in places like Liverpool. The Tories don’t command those sorts of majorities anywhere, even in their southern shire strongholds. My sense is that the SNP’s support is broad, but not deep. I would be surprised if they were to pile up majorities as huge as that anywhere in Scotland. In Westminster elections, the SNP’s best result in any seat was the Western Isles in February 1974, when they took 67.1%. The last time the Conservatives managed more than 70% anywhere was Kensington South right back in 1970. Basic reason I assume is that working-class people have less propensity to vote overall. Middle class Labour supporters in Surrey will turn out and give Labour their 12% of the vote. Working class Tories on Merseyside might well not bother. Neither one of them enough to change the result, but Labour get massive majorities on crap turnout, while Tories merely get solid wins on high turnout. There’s also that middle class areas will have a more active political culture, and therefore reasonable CLP membership and campaigning activity even in unwinnable seats to maximise votes. Building a strong Conservative Association would be an uphill struggle in much of the urban North. On that basis, it surprises me that the SNP have managed that in so few places, given they hold some dreadfully poor seats. My mum moved last year from a semi-marginal ward in a semi-marginal seat (North West Leicestershire) to one of the worst seats for Labour in the country (WA&K). I would seriously doubt she’ll bother voting this year, and the same would be even more true for Labour voters somewhere like here. The element of proportionality in Scottish elections might motivate those in safe seats more, I suppose. It might also be that the casting of Scottish politics as Unionist vs. Nationalist still inspires some opposition passion in the face of overwhelming SNP dominance. The majority of these voted Yes in 2014 and overwhelming SNP in 2015. 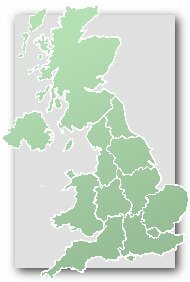 @ MrNameless – your mother has a list vote as well, which she could put to good use for Labour in the North East region. That would be one awful result for Labour and the Conservatives, average night for the SNP, good one for the Liberals. In ScotlandVotes the both figures give Lib Dem holds in Orkney and Shetland, with the Conservatives taking Eastwood (not gonna happen), Dumfriesshire and Ettrick, Roxburgh & Berwickshire. I omitted TNS from last year’s polling average because they have no polls for this month yet, and tend to return better figures for the SNP (including them into the average would unfairly weight the results in the unionists favour). On ScotlandVotes Westminster calculator the bottom figures would give the SNP every constituency in Scotland. The eastern section of Dundee City is represented by Stewart Hosie at the British Parliament and his (now former) wife Shona Robison at Holyrood. Stewart Hosie is resigning as SNP Deputy Leader over the affair that led to him separating from his wife Shona Robison, the Scottish Health Secretary. These days it’s quite unusual for affairs to lead to resignation but this was particularly awkward given his wife’s role. 60-40 to remain in Dundee. The Dundee East constituency covers a diverse mix of areas. To the south-west, the constituency cuts into Dundee’s City Centre to cover the inner-city area of Stobswell (which consists of tight flat dwellings and tenement buildings). North-east of here is a set of grim council estates towards the outskirts of the city. These estates together form the most deprived part of the city, with very high levels of deprivation around the estates of Pitkerro and Whitfield in particular. Contrasting this is the leafy suburban area of Broughty Ferry in the south-east: Dundee’s most affluent area. The suburb contains large stone villas, an attractive town centre and a vibrant beachfront. It is perhaps because of this stark demographic divide between Broughty Ferry and rest of Dundee why the people of the district often identify Broughty Ferry as being a separate town from the rest of Dundee (with some having a greater affiliation to the Angus council area over Dundee). East of Broughty Ferry is the adjoining town of Monifieth, located in the Angus council area. Monifieth, much like Broughty Ferry, is a coastal resort and suburb of Dundee – demographically the two are very similar. Further east is the coastal resort of Carnoustie. Carnoustie is more mixed than Broughty Ferry and Monifieth, with some deprivation around the former Hamlet of Gardynebourg in the west of the town, with the east-end of the town largely consisting of stone villas. The Dundee East constituency includes a wide mix of political traditions. By enlarge the area has a strong tradition of voting SNP. The more deprived western portion of the constituency (covering Stobswell, the North East council estates alongside the more mixed area of Craigie) has traditionally had a strong SNP vote, with Labour performing slightly better (though often behind the SNP) around the more Inner City parts of the constituency. To the east, Broughty Ferry has proved more hospitable to the Conservatives, who have traditionally polled ahead here in local elections. The Angus side of the constituency has, again, traditionally had a strong SNP vote. At the 2014 Independence referendum this constituency had a strong ‘Yes’ result, particularly around the more deprived parts of the constituency located in Dundee, with a stronger ‘No’ result in Broughty Ferry, and weaker No vote in Monifieth and Carnoustie. Were this constituency 200 miles further south I would expect it to be Conservative. East Kilbride, Cumberland and Livingston to. Milton Keynes is probably more similar to Livingston I’d imagine? Generally speaking where in England New Towns tend to be Conservative inclined, in Scotland they are more inclined towards the SNP. Yes…..it was Cumbernauld that made the old boundaries of East Dunbartonshire SNP in Oct 1974. They would be in the Irish Sea actually! Carnoustie and District by-election due on 5 December. This area is somewhat alike to Banff and District, so a Conservative gain is possible here. The Dundee East constituency includes Broughty Ferry and since 2005 has shifted from covering the city centre to other suburbs outside the city in Angus Council. This would certainly be a competitive constituency for the Conservatives if located in the South of England. Former Eastwood MP Allan Stewart stood here in 1970 and polled 20000 votes. He would have won on the current boundaries. Aberdeen North would probably be Conservative were it located in the south of England. In terms of affluence the constituency is around average/above average. As with most other constituencies located in Aberdeenshire it has a decent Liberal Democrat tradition, who managed to take 23.9% of the vote here back in 2005. The initial proposed boundary changes for Aberdeen North would almost certainly make it Conservative were it situated in the south of England as the constituency moves north to take in the Aberdonian suburbs of Bridge of Don and Dyce, where the Conservatives performed reasonably well in at the 2016 Scottish Parliament election. Cllr Tom Ferguson has resigned from Labour to sit as an Independent. SNP supporting social media have complained about the BBC reporting that the SNP made a net loss of 7 council seats when they actually won 6 more seats than in 2012. The difference is almost insignificant considering there are close to 1000 council seats in Scotland however the psychological impact of making net gains or net loses is huge. The BBC used notional estimates based on the new ward boundaries but how is it possible to determine if say the new ward of Partick East/ Kelvindale that is now Con 1/ Lab 1/ SNP 1/ Green 1 was Lab 2/ SNP 1/ Green 1 or SNP 2/ Lab 1/ Green 1? Common practice. That is how they report UK general election results when there is a boundary change. They did the same at the 2011 Scottish Parliament election. Will Hosie’s personal issues depress his majority significantly? George Reid (Clackmannshire & East Stirlingshire) and Andrew Welsh (Angus South) are now the only surviving members of the 11 SNP MPs from the Oct 1974 – 1979 parliament. Reid went onto becoming MSP for Ochil (Clackmannanshire, Kinross and part of Stirling Council) in the Scottish Parlaiment and Welsh returned as MP for Angus South in 1987. Ex SNP Cllr & aide to Stewart Hosie MP, Craig Melville has been convicted of religiously aggravated nuisance, after sending racist texts to another SNP aide.